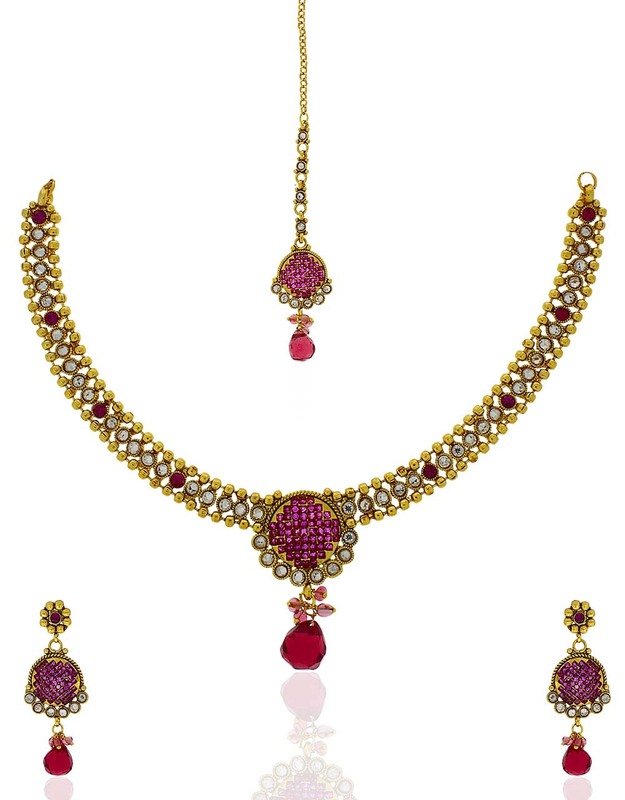 Flaunt your style sense with this charming necklace set. 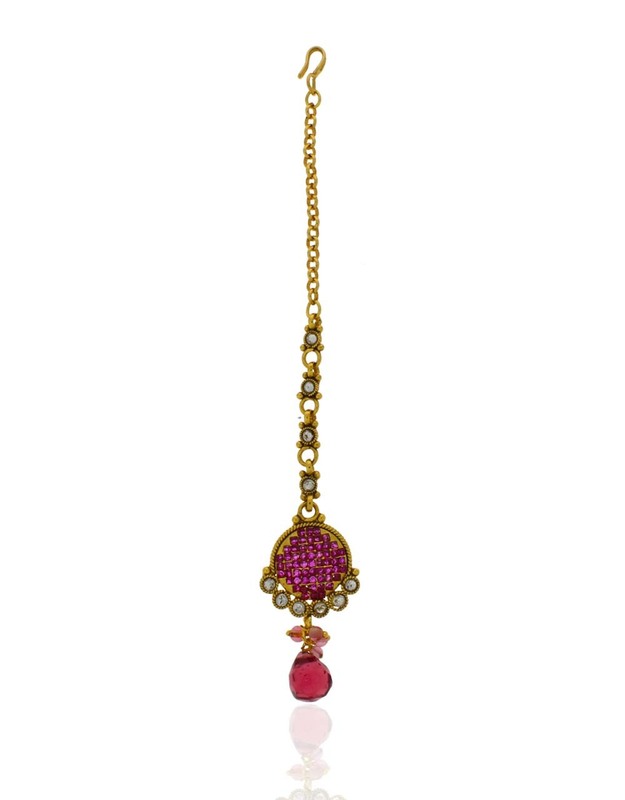 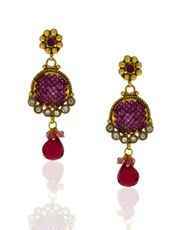 Ruby stones & kundan embellishment make it class apart from others. You’ll be surprised watching yourself in mirror that how wonderful you look with this set. 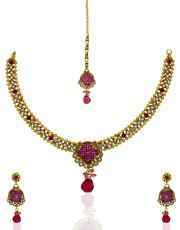 It is made from 40% silver with copper that ensures high durability of set.